Common Spiders: Poisonous or Painful? Of the thousands of Australian spiders, the bite of only two can kill you. These are the funnel-web and the redback. Despite this fact, spiders of all kinds tend to elicit fear responses and phobias in some people, and visitors to our country show quite a lot of unnecessary worry about being bitten. While we do have some of the world’s most venomous spiders, our reputation is worse than it deserves – a death in 2016 due to a spider bite was the first recorded since 1981 in Australia, but that was not conclusive. 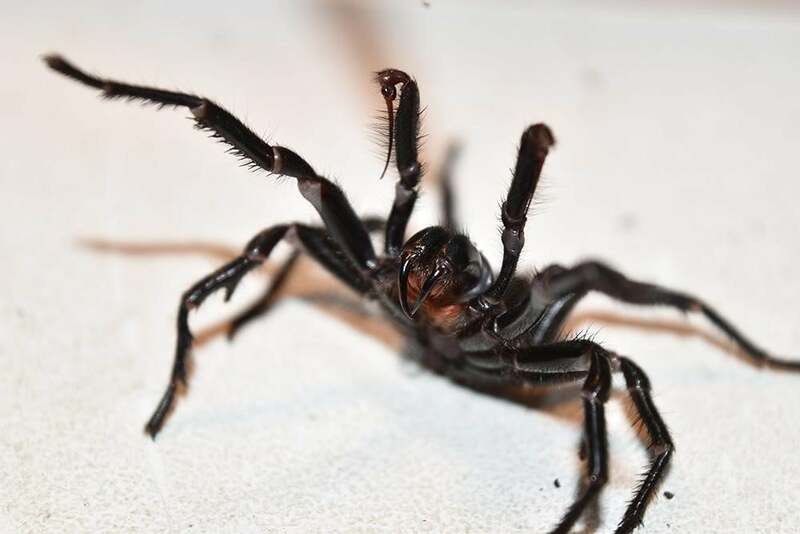 There are spiders all over Australia, but they are less dangerous than bees, snakes and sharks and they bite less frequently. 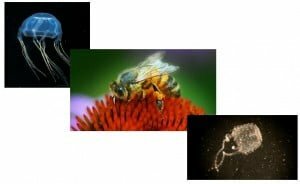 Allergic reactions to bee stings are far more common. 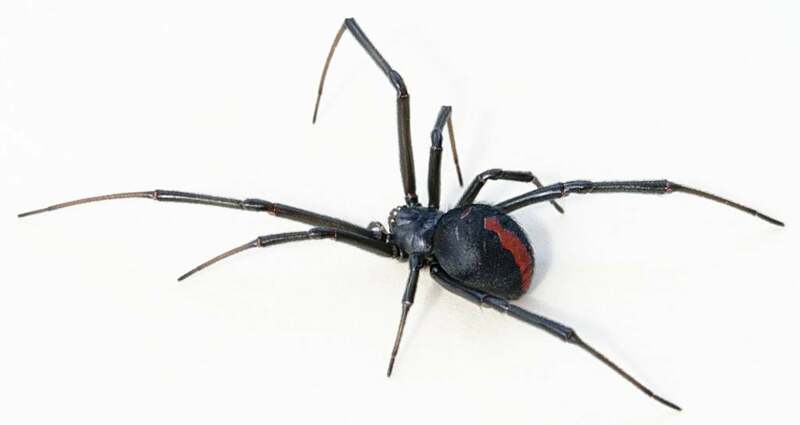 All Australian hospitals carry antivenom against funnel-web and redback bites. Antivenom has been available since the 1950s (redbacks) and 1981 (funnel-webs), but it’s only used in the most severe cases, which are rare. 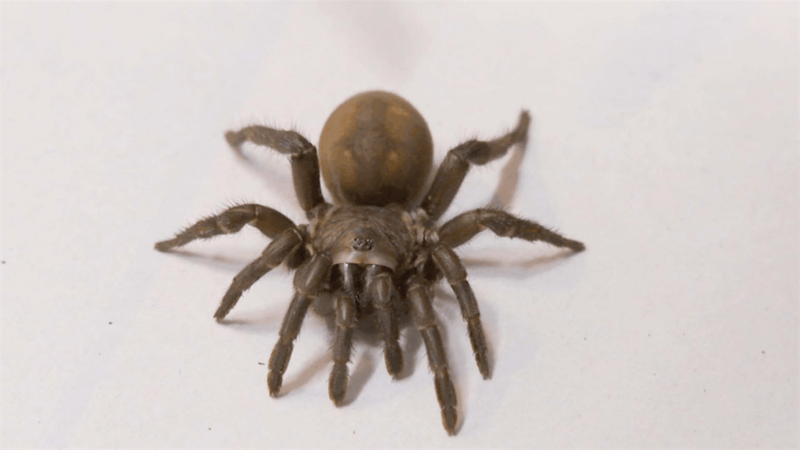 Still, if you have an infestation of poisonous spiders in your home or yard, you really don’t want to get bitten, so it’s a good idea to call Acacia Pest Control to exterminate them. At Acacia Pest Control, we stay abreast of all the latest innovations. We support over 200 local companies and over 10,000 families by providing professional exterminators for the removal, treatment and management of pest infestations including spiders. The Sydney funnel-web spider burrows in sheltered and humid areas and is found in New South Wales bushland and suburbs, with the males wandering about in the mating season. There are no Sydney funnel-webs in Geelong, but there is another species which is not as dangerous. 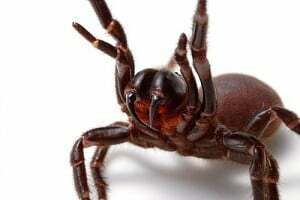 The Sydney funnel-web’s fangs are bigger than a brown snake’s, though the spider is only from 1.5- to 3.5cm, however, the bite can pierce a person’s toenails. There are about 40 species of Australian funnel-webs, with the only deadly one being the Sydney species. Victoria has one species of funnel-web, but a bite isn’t known to be deadly. Luckily, most spiders in Geelong don’t kill people, but Acacia Pest Control has exterminators near you who can keep your home spider-free. The notorious redback spider has been immortalised in the Australian lexicon in songs, poetry and outback dunny legends and is found everywhere. The black spider with the red diamond on its back builds messy webs in sheltered, dry areas such as mailboxes, under toilet seats, outdoor furniture and garden sheds. It’s not known for sure how many redbacks call Australia home although around 2000 people are bitten every year with 150 needing antivenom. There has been only one recorded death from redbacks in Australia (in 1999) since the antivenom was introduced in the 1950s. 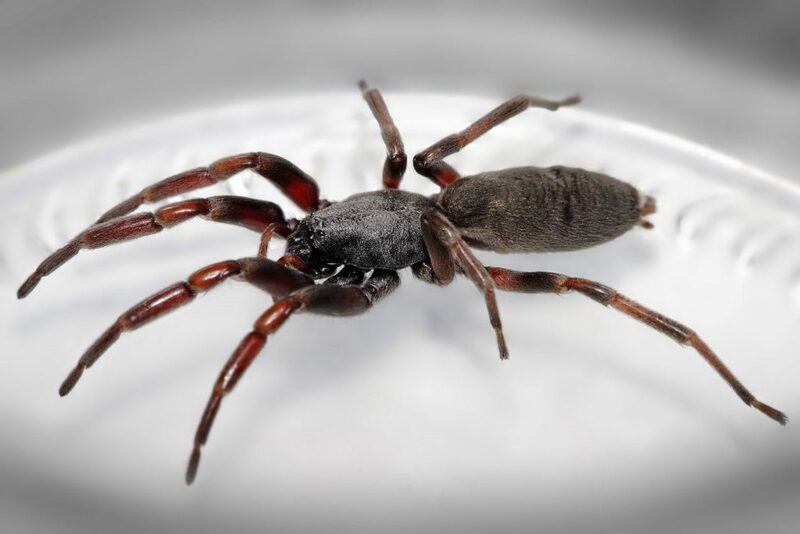 The mouse spider is found in burrows and all eight species inhabit all Australian states near waterways and rivers and sometimes in suburban areas, but the poison, while similar to the funnel-web’s has never been known to kill anybody. Only one case of envenomation has been recorded and funnel-web antivenom is effective for mouse spider bites. It is hard to distinguish the two species so people are advised to treat both spiders with caution. As the name implies, these spiders make burrows and a trap door that covers the hole, tricking their prey into falling in. Trapdoors are found throughout the Australian bush and urban areas, but their bite causes only minor symptoms in people including pain, lethargy and nausea. These are also mistaken for funnel-webs because the first effects of bites are similar, so trapdoors should be treated with the same caution, just in case. At Acacia Pest Control, our customers can feel secure knowing they’re getting the most professional spider extermination service available. 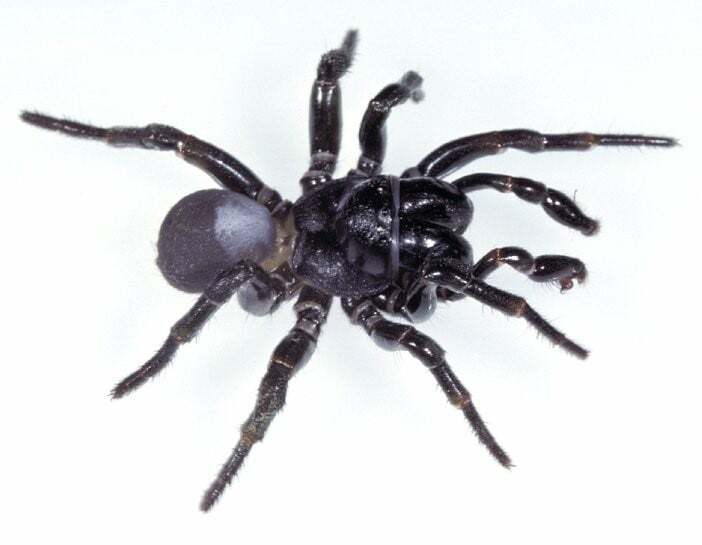 The white-tailed spider (or white tip) inhabits all Australian states. It is a night hunter that doesn’t burrow or build webs. This spider has a bad reputation for having flesh-eating poison, but there is no scientific evidence for this claim. It is more likely that the the white-tailed spider was blamed wrongly for ulcers on the skin that were difficult to diagnose. The poison is thought to cause no danger to people apart from a slight rash and mild pain in some cases. 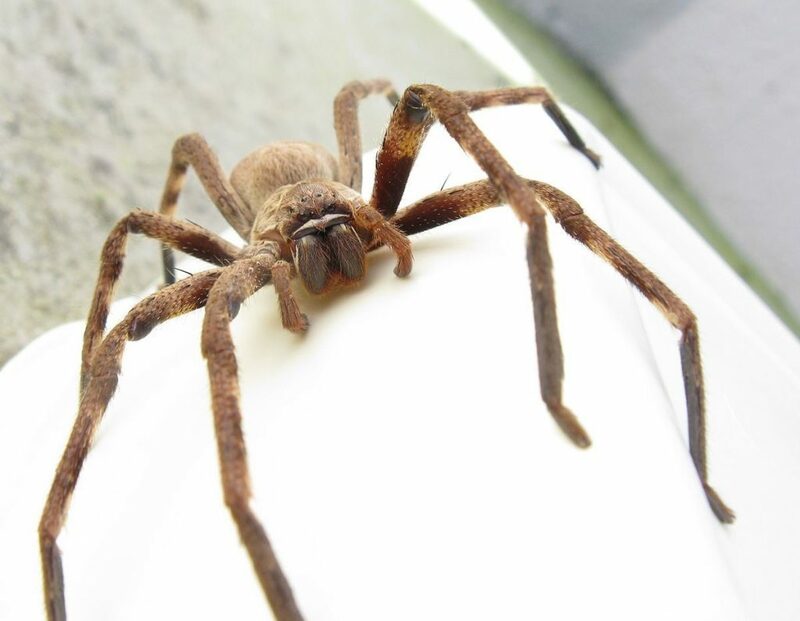 Australia’s huntsman spiders are famous for scaring drivers when they suddenly appear on windscreens – inside or outside – or when they crawl on walls. They’re big, hairy spiders (spanning up to 15 cm) but not aggressive; the female doesn’t kill the male after mating and they are reluctant to bite and rarely do unless the female’s eggs or babies are threatened. The bite isn’t poisonous either, resulting in only mild symptoms, and it’s said (not proven) that they eat funnelwebs. The huntsman is our natural ally – they definitely do eat cockroaches and other household pests. 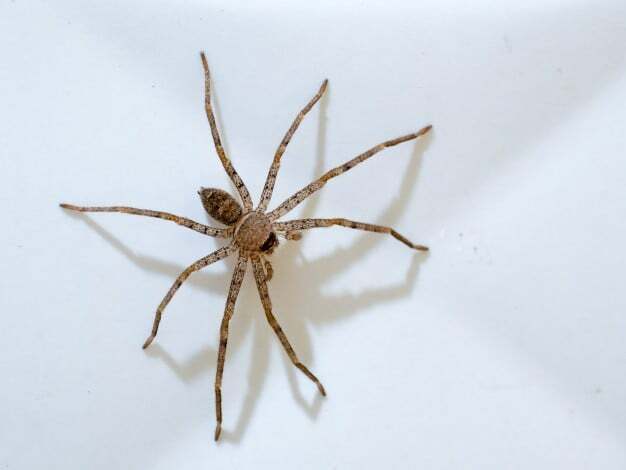 If you have a problem with spider pests in your Geelong home, company offices or other business premises and need professional exterminators to deal with the removal and control, call Acacia Pest Control on 1300 257 774 or send us an email at info@acaciapestcontrol.com.au. Mention the word ‘hornets’ and people will usually gasp and run for cover. They’re even included in the Bible where God sent a hornet to drive out his enemies from Canaan, so they had a bad rap even then. The good news? Australia doesn’t have any true hornets. Although that doesn’t stop us from naming some of the more colourful wasp species ‘hornets’ and calling a pest exterminator. If wasps/hornets have made your garden, eaves or verandah home, calling the exterminator is necessary in case you accidentally disturb a nest. If it’s a European wasp, you’d better get help quick smart. The sting can be deadly. As mentioned, Australia doesn’t have any native hornets. Here, ‘hornet’ is often applied to any large wasp, especially if it’s coloured orange and black. Mostly, the ‘hornets’ we see in Australia are native potter, spider, and other colourful wasps, but usually, it’s the large mud nest wasps of the genus Abispa. These display very different habits to true hornets which are closely related to the European wasp (Vespula germanica) which has become established all over Australia and is a notifiable pest species (2). Asian hornets are also notifiable pests. At Acacia Pest Control, we strive to be the best at identifying and delivering pest control solutions that not only exceed our clients’ expectations but educate the community about pest control and environmental protection. The Western Australian Museum lists (1) a group of 20 species of true hornets occurring naturally only in Asia, Africa, and Europe, and one introduced into North America. 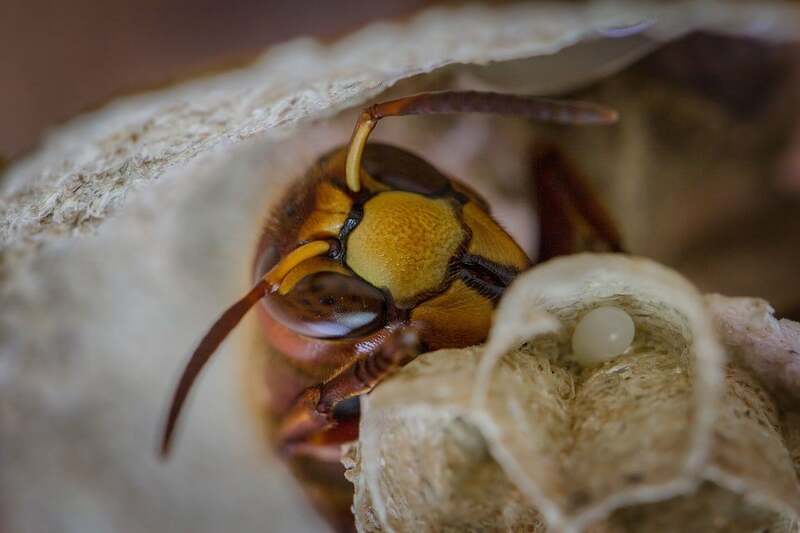 However, Australian biosecurity defences can only keep hornets out of Australia if the public and pest exterminators keep watch and report any sightings. Call the Exotic Plant Pest Hotline on 1800 084 881 or Acacia Pest Control on 1300 257 774 if you find a nest. With the flexibility to change with technology, Acacia Pest Control keeps abreast of all the latest innovations to control, treat and remove all wasp and hornet pest species. The Asian hornet is from 17 to 32 mm long, black with a thin yellow band and broad orange abdominal stripe. Front-on, the legs are yellow tipped and the head orange. The Asian Giant Hornet is the world’s largest, measuring 50mm, with a wingspan of 76mm and it has a 6mm stinger that can inject heaps of venom. The head is light orange, the wings grey and the thorax dark brown. It can have bands of black or dark brown and orange-yellow, and a yellow abdominal segment. 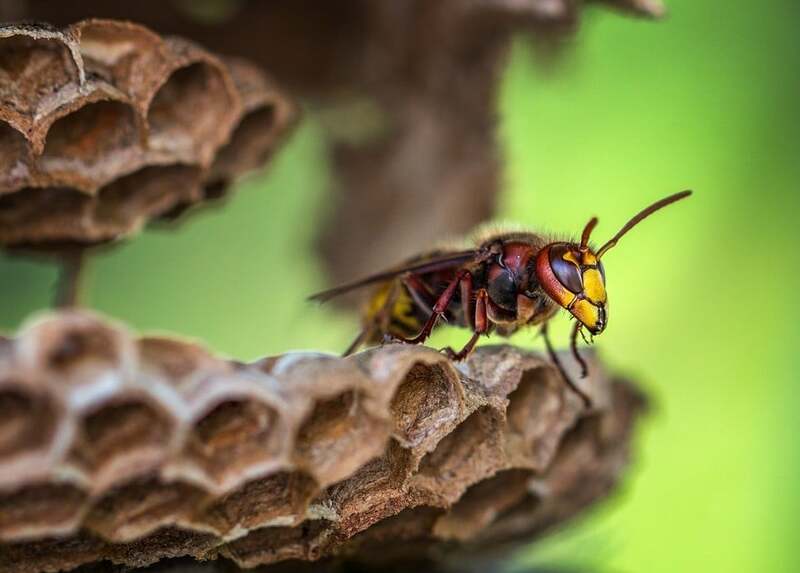 At Acacia Pest Control, our customers can feel secure knowing they’re getting the most professional wasp and exotic hornet identification and extermination service available. The Oriental hornet is the same size as the European except that it is wholly red with a yellow band on the abdomen and the front of the head. The European hornet has black stripes on a pale yellow abdomen, with black and reddish-brown legs and thorax. The head is red when seen from above, and yellow from the front. Workers measure from 18 to 23 mm and the queen from 25 to 35 mm long. There are several subspecies of the lesser banded hornet, with those in South China and Hong Kong mainly black with an eye-catching yellow band on the first two abdominal segments. It is reddish-brown on the sides of the thorax and head. Those in Southeast Asia are completely black with a bright orange abdominal band but no reddish-brown markings. Worker sizes range from 22 to 25 mm long and queen up to 30 mm. Fact 7. What Damage do True Hornets Do? All true hornets are honey bee predators(3). The Asian giant hornet and the Asian hornet attack the hive guards, stealing the brood to feed their own larvae. True hornets kill with stings and defend the nest, inflicting a more painful sting than that of wasps to humans, since it contains heaps of acetylcholine. 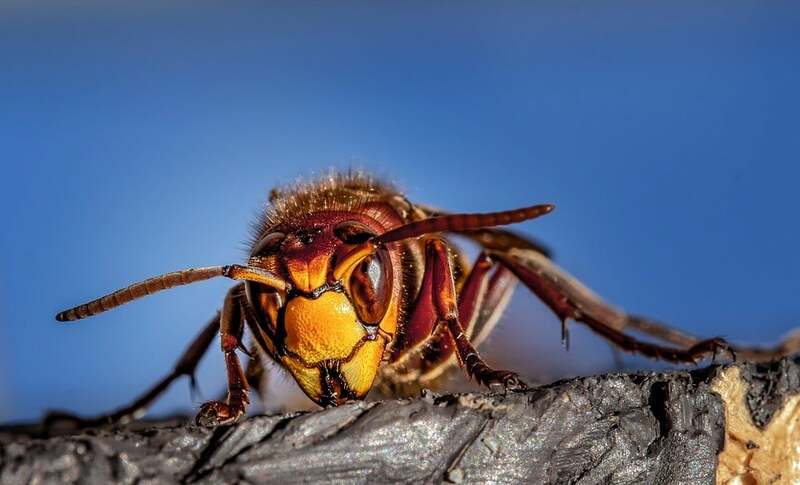 While bees and wasps have one sting and die afterwards, the true hornet can repeatedly sting but doesn’t die because their stinger isn’t barbed, so it isn’t ripped out. Anyone allergic to wasp stings will be allergic to hornets. If you see a true hornet or European wasp, call the Exotic Plant Pest Hotline on 1800 084 881 and/or send an email with photographs to biosecurity@dpi.nsw.gov.au. For all your pest problems, or if you see a wasp or ’hornet’ swarm or a nest, don’t try to remove it yourself. Call Acacia Pest Control on 1300 257 774. 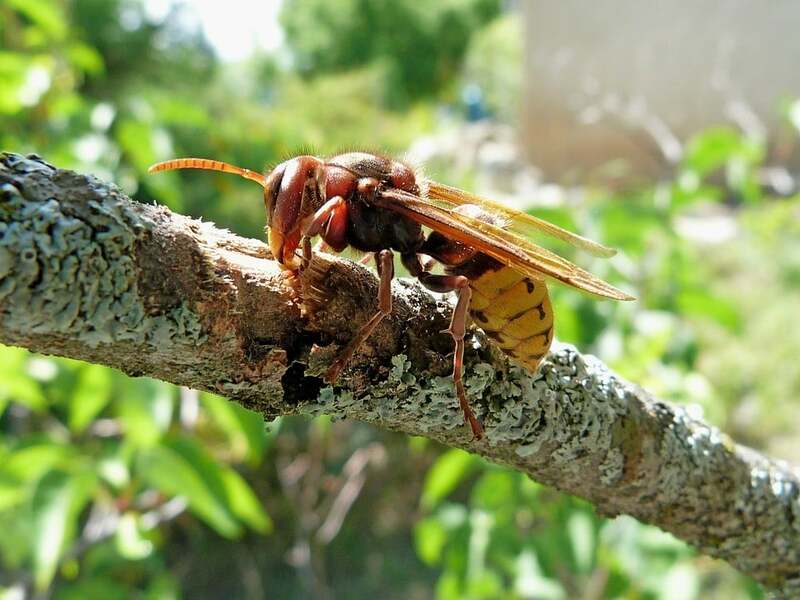 Our pest specialists can identify and report any exotic hornet species, treat the infestations and notify the authorities for you. Call us today on 1300 257 774 or send an email to info@acaciapestcontrol.com.au. There’s no need to put up with nuisance, disease-carrying flies in your house. There are some very simple measures you can take to both rid your house of flies and to stop a small fly infestation from becoming a major one. If you do have a seemingly insurmountable fly problem, and repellents, traps, sprays and fly catchers are not working, the best thing you can do is to call Acacia Pest Control. Then, once your house is free of flies, there are ways to keep them away. Below you’ll find some information about flies and tips on how to keep your house or workplace fly-free. Flies carry diseases such as Salmonella, Typhoid, and E.Coli. Female flies live for about a month, and in that time they can lay from 400 to 600 eggs. So it’s easy to see how a small fly problem can escalate if you don’t do something to control an infestation. There are several different species of flies that infest houses, farms, restaurants and commercial kitchens, retails shops, and food-processing factories. House flies: These flies are attracted to food odours. They breed in rotten food and animal droppings. Fruit flies: These are attracted to anything sweet, including sugary drinks and fruit in kitchens and restaurants. Drain flies: Rotten food, built-up organic waste and sewage in drains attract these flies. 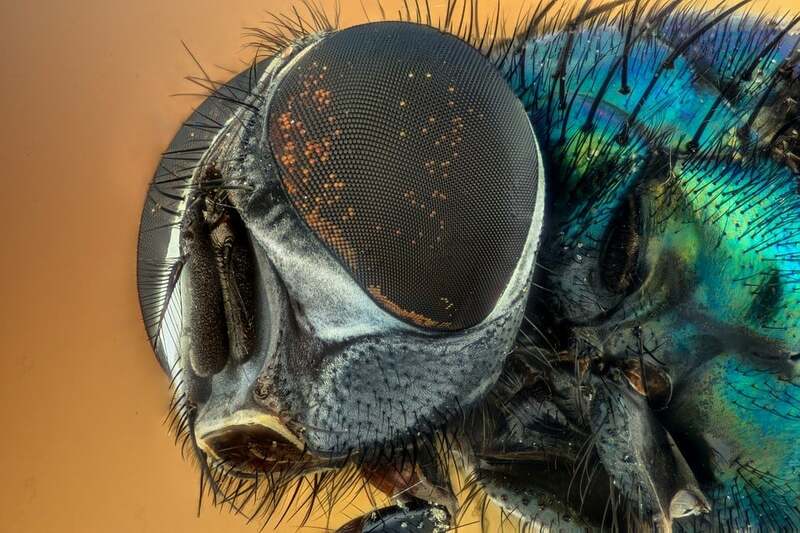 Blowflies: These flies lay their eggs in kitchen waste, meat, dead pigeons, mice and rats. 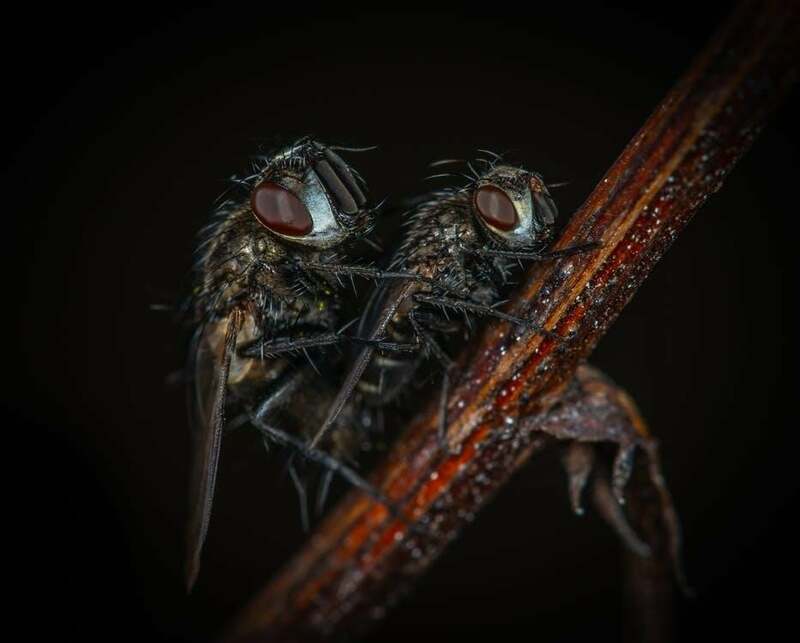 Flies love houses where there’s a lot of clutter. They prefer places where the washing up is in the sink with food scraps on plates. Kitchens where rubbish bins are full with the lids off or not closed properly, and pet food bowls that have leftover food in them. This is sheer heaven for flies. To keep flies from seeing your home as a restaurant, you’ll need to go from room to room and close down the smorgasbord. And to deter the flies, you need to do this fly– check at least twice a week. Using a professional fly eradication and control service such as Acacia Pest Control is the most efficient and effective way to guarantee all flies and eggs are removed from your house or business. Flies prefer to lay their eggs on poop, and as unpleasant as that sounds, it’s the truth. The eggs then hatch after 24 hours, so for every doggie do-do you leave in the yard, or cat poo you leave uncovered in the litter tray, the numbers of flies will multiply quickly. No amount of repellents, household insect sprays, traps, or fly catchers will do any good if the basic hygiene problem remains. To keep flies away, you need to clean up the dog poo in the backyard and pick out the poo from the cat litter (rubber gloves of course!) every day. You should also keep your animals’ bedding clean and if you have rabbits, guinea pigs or birds their cages need to be cleaned out daily as well. This will also deter rats and other poop-eating pests as well as flies. Flies will get into your house or workplace when doors are opened and closed, that’s normal, and a quick squirt with a reputable spray or the use of traps, repellents and fly catchers can fix a minor fly infestation. But if you find you have lots of flies indoors, you should try to work out where the security breach is occurring. Check your insect screens for damage. Perhaps a screen has a rip in it, or it’s hanging off the window damaged and needs replacing. Check for cracks in walls and the caulking in the windows and then examine the weather strips around the doors to make sure your home is fly-proof. If you don’t have flyscreen doors then perhaps you should invest in some for any doors that lead outside. Make sure nobody is leaving the screen doors open and letting the flies in. 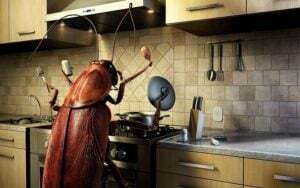 Always Cover Food – Flies love any kind of food, even the tiniest breadcrumb is attractive to them, so carefully cover leftovers and wipe benchtops and tables clean after meals and meal preparation. Restrict Access to Water – Flies need water, so repair any leaky taps and clear blocked drains. Apply Good Food Hygiene – Keep all sinks and drains, garbage bins and food areas clean, and remove garbage regularly so flies can’t breed in them. Screen Entry Points: Try to keep doors shut and install flyscreen doors and windows if necessary to help keep flies away. Install a Fly Zapper – These are necessary for killing flies in businesses where food is handled, and they’re great for outdoor areas in your house both indoors and outside where meals are served. Fly repellents – For a natural repellent, buy some essential oils that deter flies (lavender, basil, mint, clove, and lemongrass) and make a spray by mixing the oil with water. Spray it around the kitchen, and around the door frames. Make sure you label the fly spray bottle and keep out of reach of pets and children. 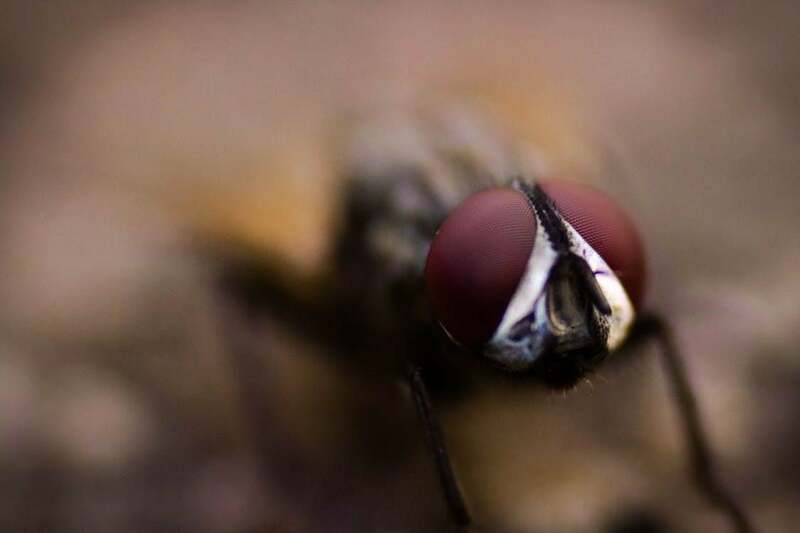 Do you have a fly infestation in your Geelong, Western District, Surfcoast, Golden Plains, Melbourne or Bellarine Peninsula house or business premises? If you need expert professional advice about flies, or treatment and removal services, call Acacia Pest Control for a quote on 1300 257 774, or email info@acaciapestcontrol.com.au. Professional pest control companies are often asked by home and business owners how much it will cost to remove termites from their properties, or the costs to get rid of other pests like rats, mice, problem birds and more. And they’re certainly valid questions since a pest infestation, whether it be in a home a home you’re going to buy or sell, the home you’ve lived in for years, or a business premise, can pose some very serious problems. Termites can chew on the structures of a home and slowly deteriorate any wooden furniture, and bird droppings left behind by problem birds can pose as a health hazard. However, how much it will cost to treat, remove and control pests is not something a pest control professional can tell you straight away. There are many factors that can contribute to the price of pest control, and each job is different, so it’s very hard to provide accurate pricing for the service online, and instead you should opt for an in-house inspection to get an accurate cost. Acacia Pest Control supports over 200 local businesses and over 10,000 families by providing professional pest solutions. The Pest: The cost depends on the type of pest, e.g. ridding your home of cockroaches will be a different price than eliminating rodents as different methods are used. 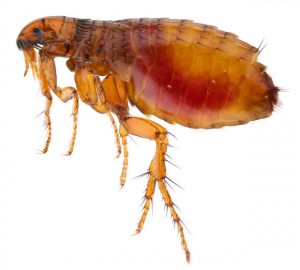 The Size: Yes, size matters here – treating a big, established flea problem, for example, takes longer and will cost more than a smaller, and more contained one. Treatment: The kind of treatment needed affects the price. Property: The size of the property entails how much time and money will be needed for the service. 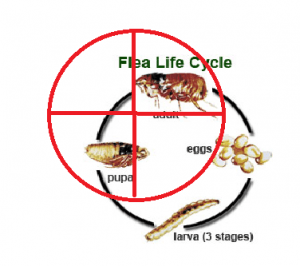 Treatment numbers: Some pests need repeat treatments to control them successfully. 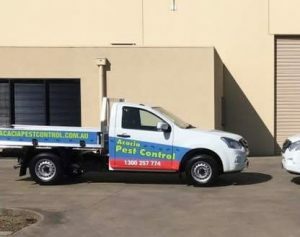 Acacia Pest Control specialises in providing information, advice and services for all pests including termites – Since 2000, Acacia has expanded from operating locally in Bellarine Peninsula to servicing the wider Geelong areas including the Western District, Surfcoast, Golden Plains, and Melbourne regions today. Because the needs of commercial premises and residential homes are different, the cost of pest control services also reflects this. 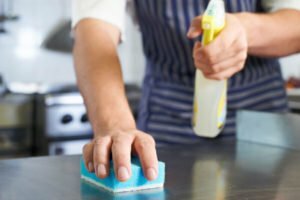 There are specific laws that commercial premises have to abide by with regard to pest infestations, health and safety of employees and customers and food safety. Pest infestations in commercial properties also often need ongoing support such as an integrated pest management program to comply with these laws – all of which impacts the costs of the service. At Acacia Pest Control, we support our local community through donations and fundraising to keep our community strong – We now have a special offer of $50 OFF a full timber pest inspection for termites, borers, and fungi. For an accurate assessment of the cost of a pest treatment, it’s best to hire a pest inspector to come in your home for a closer investigation. At Acacia Pest Control. a certified, professional pest control expert will contact you to discuss your particular pest problem and arrange a time suitable for a visit to your home or business premises. The inspector will examine all the relevant areas of your building and yard for signs to assess the exact type of pest and the extent of the infestation. The inspector will go through with you about what has been found and recommend the most effective treatment and control measures needed to be put in place -and finally, provide you with a quote for the cost of the work. The inspector will also advise you about ways to prevent a recurrence of the problem and the possible need for regular inspections to control the pest. If you’re a first home buyer or a seasoned expert and need a professional pest survey on a property you want to buy, call us now. If you own a home or business and need a pest infestation treated, or to arrange a schedule of regular inspections, don’t hesitate to call us now on 1300 257 774 or email info@acaciapestcontrol.com.au. 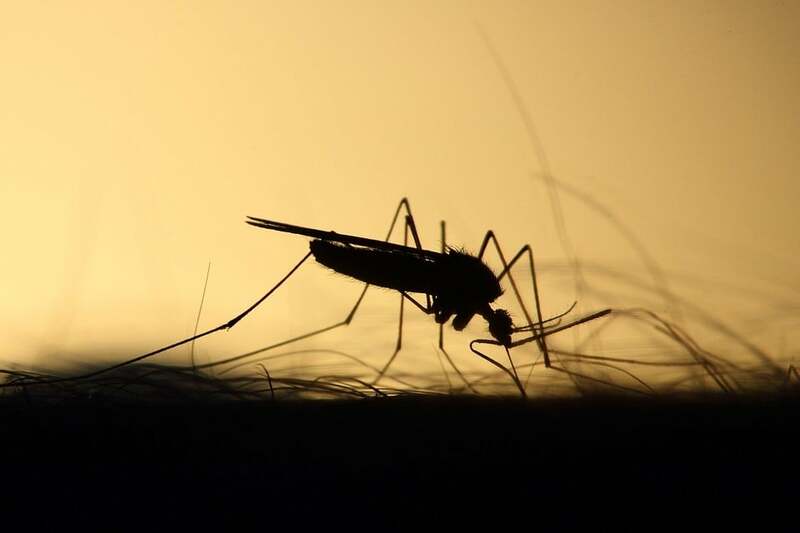 With more than 3,000 types of mosquito in the world, we humans are lucky they don’t all like to bite us and drink our delicious protein-filled blood. 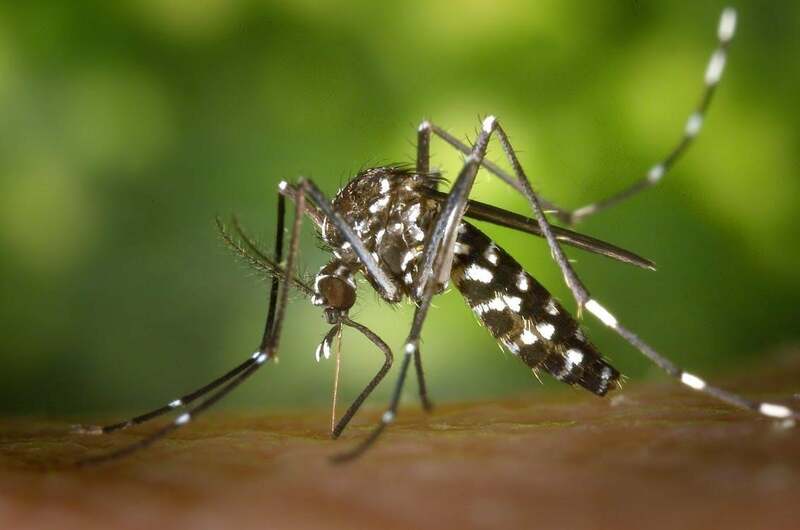 Most mosquitoes feed on nectar and whatever is available, but of the types that bite people, there are two nasties, Anopheles gambiae and Aedes aegypti. These both pass on deadly diseases to people. The species Ae. aegypti is associated with the Zika virus and Dengue, and An. gambiae can pass on a parasite that causes Malaria in people. However, you might be one of the lucky people who mosquitoes find repellent. Yes, they are selective about the people from whom they draw blood. But why do the pesky and dangerous little critters bite you and not the person sitting right next to you at the cricket or a family barbecue? Scientists still search for the reasons. Mosquitoes can pass on many diseases to people and animals through their bites. In Victoria, these are Barmah Forest Virus, Ross River Virus, and MVEV or Murray Valley Encephalitis Virus. Acacia Pest Control exterminators are expert professionals near you and they’re the ones to call for removal and control of your mosquito infestation. There’s an awful lot of conflicting information on the Internet about why mosquitoes prefer some people over others to bite. Some mosquito articles suggest that the pesky blood-suckers (or ‘mozzies’ as we call them in Australia) will find you attractive if you have a certain metabolism or blood type (some say O, some say A – my blood type is O and I rarely get bitten). Others say if you’ve been exercising, sweating, or if you’re wearing a certain colour, mosquitoes will bite you. Some even believe that eating foods containing apple cider vinegar or garlic can make you either repellent or attractive to mosquitoes. Some also say mosquitoes are attracted to you if you’re drinking beer. However, most of these are old wives’ tales and are not proven by reputable science(1). Still, you often hear people say ‘mozzies just love me’, and others say they rarely get a bite, and they’re right because there’s something about certain people that mosquitoes love. The science to date estimate that 20 percent(2) of people are attractive to mosquitoes. The latest science suggests it could be the microbiota on our skin that mozzies can’t resist. In fact, scientists have discovered a gene in mosquitoes that leads the insect to find some people repellant and others not, but they’re yet to determine the reasons for these preferences(2). Ovulating female mosquitoes are the ones that bite, and they do that not for a ‘meal’ (they eat nectars and such) but to provide proteins for their eggs. The science says the mosquitoes home in on the carbon dioxide we exhale, and it’s thought the lactic acid and other chemicals play a part. Then the mosquitoes seem to find some people repellent or attractive according to the microbiota on the skin. All people have an abundance of non-pathogenic bacteria and fungi (microbiota) living on their skin, in hair follicles and pores, and it emits an odour that is critical in letting a mosquito know how they taste. Having skin microbiota is part of being human, and the kind we have on our skins mainly depends on what we consume and the location and environment in which we live. We are constantly causing more microbes to take up residence on our bodies, depending on what we do and what we eat. One thing is for sure – if you have a mosquito plague or you’re tired of the bites and welts and want to protect your family’s health, call Acacia Pest Control Services for information, treatment and removal of the problem. Acacia Pest Control can improve your quality of life. We Guarantee it! We deal with the control, removal and management of infestations of mosquitoes, spiders, ants, rats, and mice, in fact, we can get rid of all the different creepy crawlies and vermin around your house or business premises. Is It People’s Genes and Odour That Mosquitoes Like? 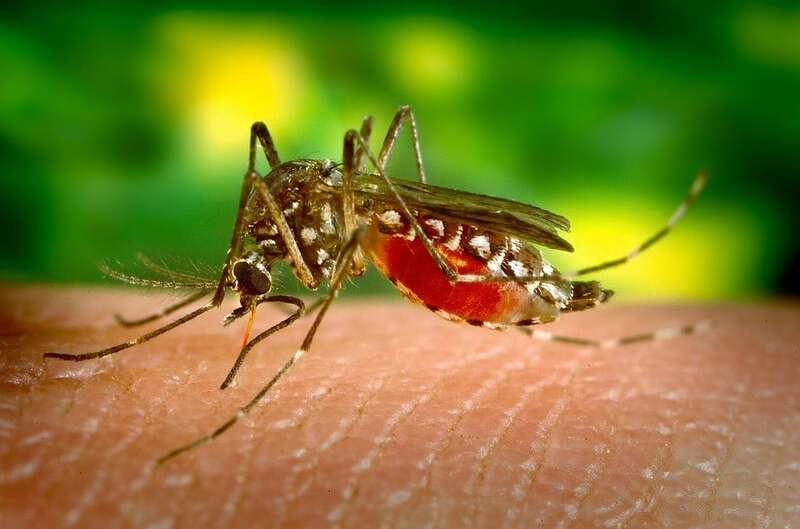 Medical entomologist and advisor to the American Mosquito Control Association(3) Joseph Conlon says science has not really even begun to find out what causes a mosquito to find some people repellant and some not. And with over 350 compounds isolated from odours that emanate from people’s skin, it’s no wonder. Conlon suggests that even though science might conclude that it is simply about human genetics and smell, studies of twins show the reasons mosquitoes find some people repellent and others delicious are a lot more complicated. He says the latest schools of thought in science circles are that it mightn’t be about what attracts mosquitoes to a person, but what the mosquitoes find repellant. Some people could be producing chemicals on their skin that mosquitoes shy away from, and the chemicals could be covering up odours that the mosquitoes like. The search continues as will the old wives’ tales and science. Acacia Pest Control services near you can provide professional advice, removal, control and management of mosquito pests. Our professional exterminators give you peace of mind, allowing you to relax inside your house or outdoor areas without the constant threat of mosquito bites and pestilential mosquito infestations. What Can I Do When Termites Invade My Home? The eradication and control methods used for termites (white ants) have advanced markedly over the past decade with high rates of success, given that treatment solutions are readily available on the market. However, what you should do if you think you have termites in your home is to call in a local specialist – and if you’re located in the Geelong region, contact Acacia Pest Control service. This is because, while the treatments are effective, only professional termite exterminators with the right skills and years of experience know how to properly use the treatment solutions. Our exterminators provide termite and other pest and weed control services in the Geelong region including Surf Coast, Western District, Melbourne, Werribee, Colac, Bellarine Peninsula and Lara. At Acacia Pest Control, we use the latest tools available to rid your homes and workspaces of termites by using effective treatment solutions. 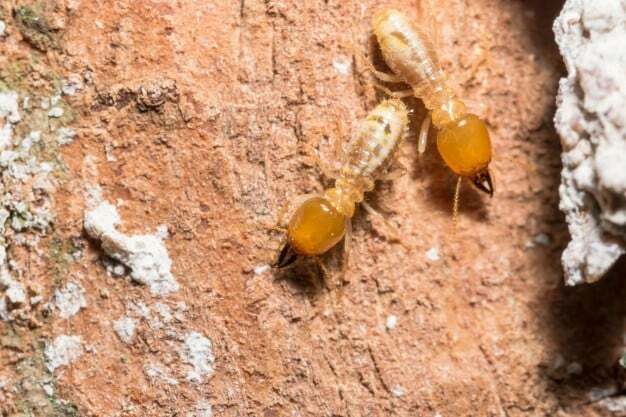 Due to the wide variety of termites commonly found in the Geelong region, hiring specialists with sound knowledge such as Acacia Pest Control is a must in figuring out how to successfully treat infected areas. 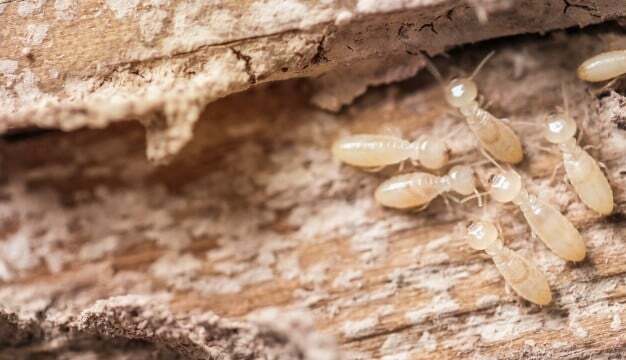 The thought of termites chewing their way through the structures of your home will be sure to give you nightmares since the damage it can leave behind could cost upwards of tens of thousands of dollars for repairs and replacements. 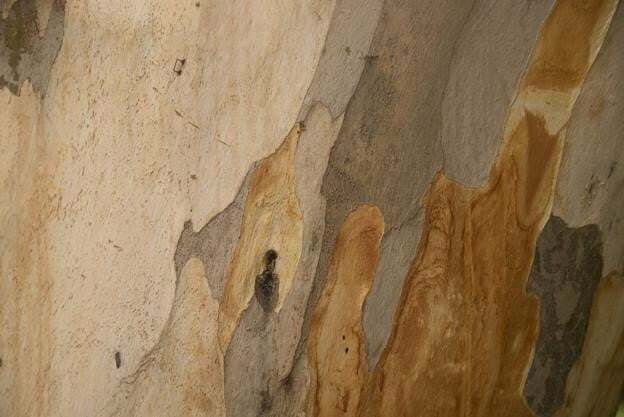 To be certain on whether you have a termite infestation in Geelong region, call your local Acacia Pest Control service and arrange an inspection for a possible treatment solution. Other insects are often mistaken for termites but our skilled inspectors have years of experience under their belt to distinguish the two, even from a quick glance. Termites or white ants are quite small, and while they are similar to other ants there are distinct differences. On the other hand, the various species of ants have a bent antenna, a pinched-in waist, sectioned bodies, and flying ants don’t shed their wings. 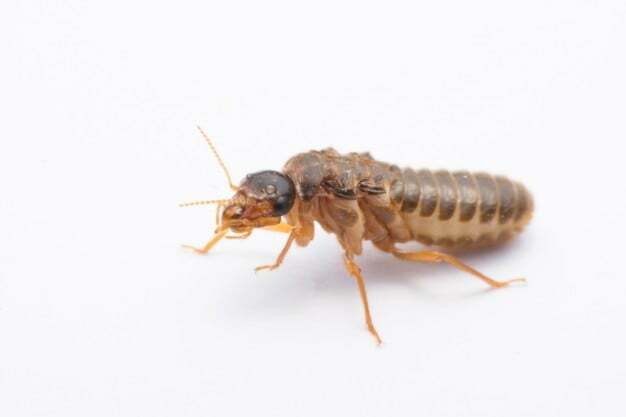 Acacia Pest Control’s customers can feel secure in knowing that they are getting the best service available – Our trustworthy reputation stems from our guarantee in providing quality termite exterminating services! With the flexibility to adapt to new technology, we keep on top of-of all the latest termite treatment solutions. Termites live on the cellulose fibre found in organic matter like wood, paper and some plants. They’ll chomp their way through this material, which is generally ignored by other animals and insects, and are the signs of termite infestations in your yard and home – though it may vary from case to case. But remember that if you do see any odd signs, it’s always best to call Acacia Pest Control immediately rather than trying to find a solution by yourself. Even if you only think you have termites, a pest inspection by Acacia Pest Control is recommended. Regular inspections are an ideal way to ensure you keep your home and yard free from termites and other pests, so call us today on 1300 257 774 to book an inspection and a treatment solution if needed. Our fax number is 03 5243 7199 and email: info@acaciapestcontrol.com. We must be able trust those who sell us our food. It is now so easy for consumers to get on social media and crucify restaurants and cafes for not meeting their expectations. Whether it is the service, the product or the cleanliness, the food supplier should endeavour to provide their absolute best. Now how many times have you walked into a shop and noticed flies buzzing around the cakes inside a cabinet? Or Ants streaming across the footpath outside a shop? Fruit flies doing endless circuits, like mini aircraft practising take offs and landings on the light fittings. Have you seen those YouTube videos of rats or mice in the sandwich bars, feeding away like they own the place? [They probably do!]. So interesting to note – retail food suppliers are governed by their local council’s own inspector(s). Our observation of this process is, the budget handed down by councils to pay for these inspectors and support staff is minimal. Therefore the food supplier is left to decide how important and what level of pest control they think is warranted, within their establishment. Temperatures of fridges, bain mares, pie warmers etc. Wash hand basins and toilet facilities for staff cleanliness. 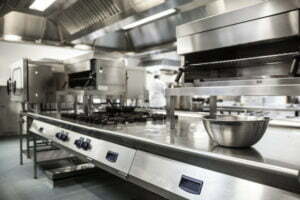 Cleaning of food preparation surfaces, utensils, floors, drains etc. Is the premises free from pests? Part of the food safety guidelines covers pest control, but a very small mention in the overall scope, which is worrying to me. Surprisingly many purveyors of fine foods don’t know a great deal on the finer points of pest control. Some struggle with the difference between prevention and reaction [a big miss!]. Acacia Pest Control provides professional services to a smattering of pro-active food clients in our Geelong region. Many of whom understand that baits get eaten or go a little stale and then become not so palatable and less attractive to pests after a few weeks “in the field”. Prevention is the best practice of pest control for all food outlets. Reacting to pests that are already in the shop is far from ideal. So when you see an Acacia pest control vehicle or technician in your favourite shop, don’t panic, feel assured that pests are being prevented and your food is safe. Feel free to share this with your friends, colleagues, employers and employees. The more establishments we look after the safer our food will be. 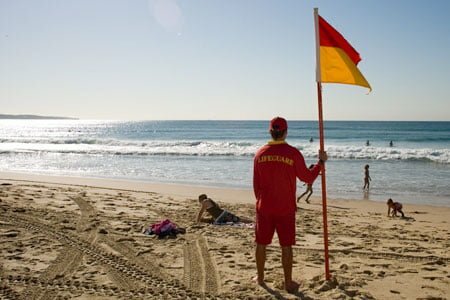 There are a number of Food Safety Services within Australia who provide guidelines to food establishments based on ‘Food Standards Australia and New Zealand’. This code is a key tool on food safety for all Food Outlets. We have listed some links below for further reading. This is the American Food and Drug Administration HACCP code and we consider this to be a valuable and in-depth resource for food retail outlets. Who is Creeping Around Your House? You may not want to know it, but pests are as much a part of the fabric of a home as the carpet or curtains. That’s not to say your home is infested with destructive termites or disease-transmitting cockroaches. However, a recent study from North Carolina State University in the USA tells us we are definitely not alone. Dr. Matt Bertone, an entomologist with the North Carolina State University Plant Disease and Insect Clinic and a researcher on the study, says “most homeowners think their living spaces are sterile environments, but that is not always the case”. Researchers went room to room in homes to collect living and dead arthropods for the survey. 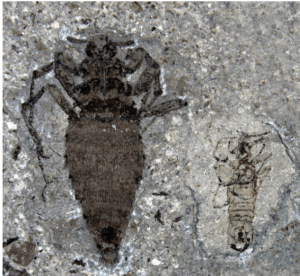 In all, they found on average 579 different arthropod morphospecies (animal types that are easily separable by morphological differences) from a total of 304 different families. While the number of creeping, crawling, and flying pests may appear threatening, the reality is that most of these pests are merely wanderers who inadvertently gain access to home interiors through an open window or door or on cut flowers or plants. They don’t constitute a full-fledged infestation. Another point researchers wanted to emphasize was that most of these unwanted pests are not equipped to live indoors, and that they die off fairly quickly. 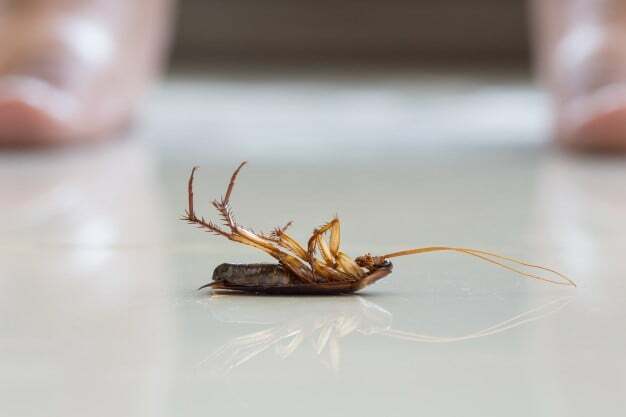 For pests such as mice, bed bugs, or cockroaches that do decide your home is a suitable place for an extended stay, the residential pest management experts at Acacia Pest Control Pty Ltd have proven solutions that will give them the boot and then keep them away. One of our Pest Managers will follow up to answer any questions you may have.